When it comes to Americana as a genre, many of its purveyors offer a sense that they’ve lived through their collection. No matter the story form or execution, you often believe (or are plainly told) that what you’re hearing or reading or seeing has been informed by their life experiences. Up close and personal. But Richard Buckner doesn’t do that. He’s visitor, a watcher. A traveler who disappears into the world and returns to us with its story, not his. (Physically, he’s done this: While living in Northern California, Buckner left for Lubbock, Texas, to record his debut, transporting himself from his environs to absorb the terrain that would infuse Bloomed.) While his counterparts have something of a personal history to tell, if only emotionally, Buckner is more objective than that. Even his first-person narrative feels like he’s entered another’s skin and peered through their view, taking away his own observations. His oft gloomy, somber poetry could be confused with his reality, as someone who has lived, sometimes hard, and sees little hope. But that isn’t necessarily the case. And he’s unencumbered by the fallacy of nostalgia or the attachment of subjectivity, both of which can contort the truth. Buckner’s bleak objectivity, weighted heavily by his quivering, throaty testimony, oftentimes seems more honest. Difficult situations aren’t assigned false hope, and his brief episodes of optimism aren’t invincible. Sometimes it’s bad, and don’t bet on it getting better, even if it might. Sometimes it’s good, but don’t bet on it staying that way, even if it might. That may seem a horrible pessimism, but the peaks and valleys of life are such, even if we spend our waking existence trying to live just the opposite. And maybe that’s why The Hill is such a perfect fit for Buckner. 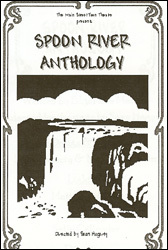 The Hill–to be reissued March 10 by Merge, along with Bloomed and Impasse–is a conversion of Edgar Lee Masters’ “Spoon River Anthology” to music. You’d wonder why a poet in his own right would feel the need to sample others’ work, but Masters’ book of poetry tells much the same story Buckner is accustomed to. Each page reads as a final, postmortem dictum of a different deceased resident, more than 250 of them now passed, in the fictional Midwestern town of Spoon River. The epitaphs are important for Buckner because, in death, these people strip the breathing city of its dishonesty. Each one, from Rueben Pantier to Elizabeth Childers to Oscar Hummel, is no longer concerned with whispers and pointed fingers that are often the consequence of a life laid bare. They’re unleashing themselves, without fallacy or attachment. so happy to read something that gives this album the attention it deserves. maybe there was a lot of good criticism of it back when it came out — didn’t read any at the time. folks i knew who loved Bloomed dismissed this record as overly ambitious and couldn’t get past the one-track thing. at the time it was released i listened to that one track on repeat, cleaning out a barn. good gosh, he’s a reanimator on this. thanks for posting. brought a smile to my face seeing this post. I love this record as much as any record I have ever owned. only disappointment is it doesn’t sound like we’re getting too much in the way of lost tracks with the “re-issue”. I have never been so taken back with an album before. It caused me to grab and collect multiple copies of SRA. I love Buckner’s style and behind ‘Bloomed,’ this is my favorite album of his. Nice … you grabbed the spirit of Buckner with your descriptions. I agree with Jason Leonard … ‘Bloomed’ was the easiest and first album I fell in love with. ‘The Hill’ came in the middle and was the hardest — maybe because I was forced to listen to as a whole and not as singles. 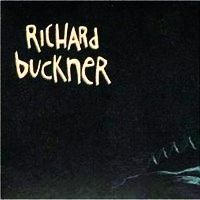 But, now it is one of my all-time favorite albums – period, Buckner or not. I had been a fan of Buckner’s before, and when I heard he was doing this project I thought, Oh no, this is going to be bad. Boy, was I wrong. This is much better than it has any right to be. I think I might have let the songs run together, but I’d go ahead and index the individual tracks too. But Buckner is a true individual, and he’s earned the right to do what he wants. These reissues are probably delaying his next new album, but I think he should just do what he needs to do.